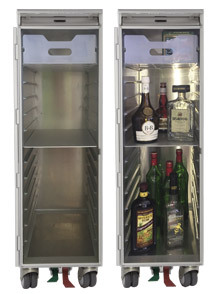 Your MySky SkyCart is an authentic airline food and beverage cart. It was built by one of the manufacturers which supply the airlines with their galley trolleys. 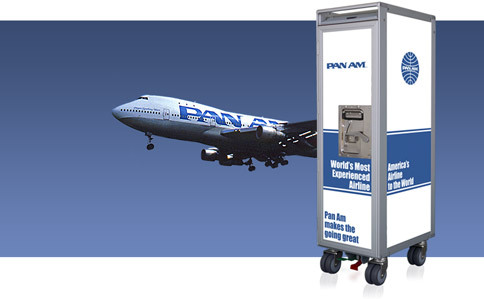 The Pan Am SkyCart is built to meet the same requirements as carts in service on commercial aircraft, ensuring quality and durability. 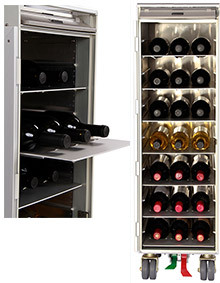 Seven Aluminum Shelves, holding three wine bottles each safely in specifically designed recesses, turn this airline service cart into a wine lover’s dream. 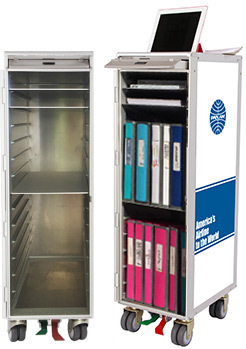 While an airline cart can be an exclusive item in your home the Pan Am SkyCart is a very useful conversation starter in your office. A real icebreaker!